I've been asked about trainers so many times over the past few weeks - there are lots of you running right now, either first timers or post-injury like myself and many have asked me how I got on having my gait analysed, what trainers I ended up buying as a result and if I'd recommend the process. 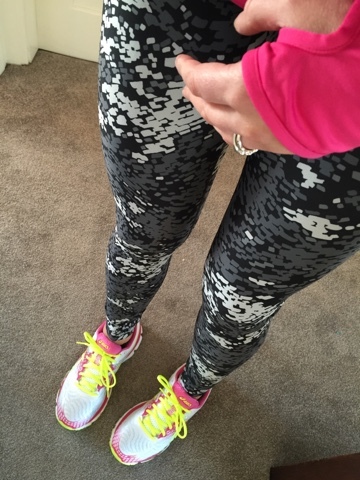 I hadn't originally planned to dedicate an entire blog post to the topic but here goes....and apologies in advance to the non-runners. I would have clicked out and moved onto the next post 6 months ago. It's funny how priorities change. I know not all of you can easily get to Magherafelt but I urge you to go to an independently owned sports shop or a dedicated running shop if you want to have your gait analysed. 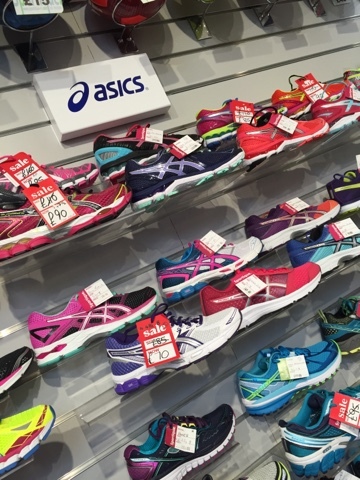 Generally speaking, the big chains are unlikely to have the expertise that's required, nor will they have the specialised running trainers that are needed for certain gait issues. The process itself is really straightforward. 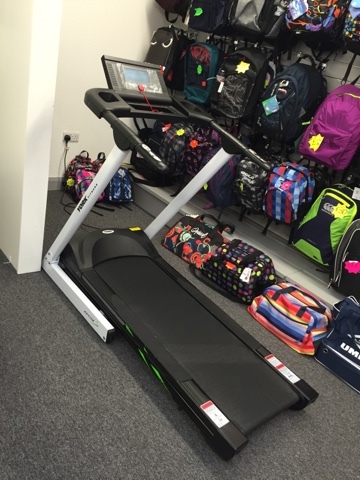 I was asked to put on a pair of trainers supplied by the shop and run on a regular treadmill for about 20 seconds. Then I put on my current trainers and did the same. 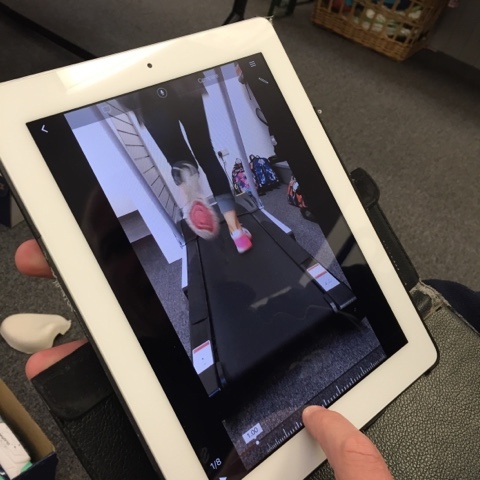 Geoff analysed my movement on an iPad using a super slow motion app. He was immediately able to identify an issue with my right foot where I'm flicking the foot outwards when I lift it, causing me to land unevenly. This was putting lots of pressure on my ankle bone - it was fascinating to see it on the recording. I wear orthotics insoles that were custom made for me following my last back episode in 2014 so I then ran with these in the trainers. The good news is that the orthotics are doing what they're meant to do - Geoff was able to show me the significant improvement they make to the ankle movement. After studying the two videos, he recommended a neutral gait flexible trainer with good cushioning. If I did not already have orthotics, Geoff would have prescribed a more rigid pair with arch support, to mimic the effect of my custom insoles. And there-in lies the point of having this analysis done because had I just wandered into a sports store without this knowledge and bought a rigid pair, it would have resulted in an over-correction of my gait. Equally, if I didn't have orthotics and bought a neutral pair, my ankle wouldn't be supported. Both scenarios would likely have resulted in injury issues in the future - either at the ankle itself or more probable for me, at my weaker point - the knee. 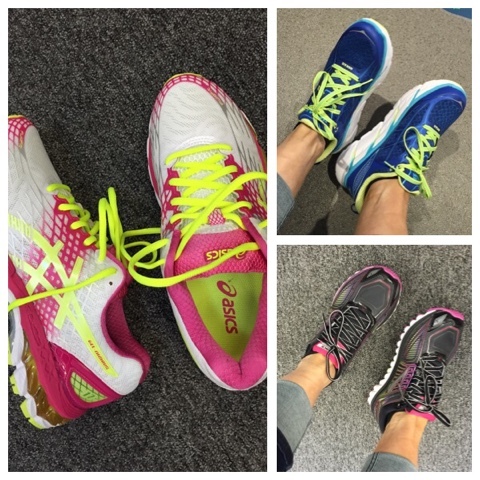 So I then tried three neutral trainers - Brooks, Hoka and Asics - all running specific brands and each (in my opinion) very different. First up it was Brooks and in terms of look, they were my favourite. Great colour and very wearable outside of running but I ran on the treadmill with them and just didn't feel they worked for me. 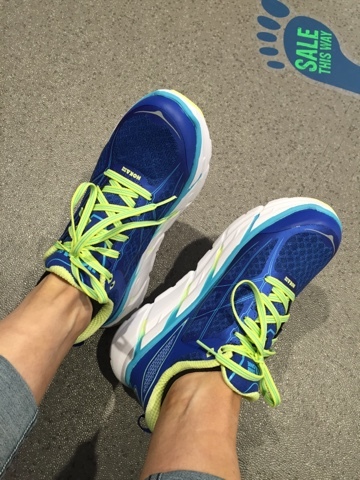 They didn't have as much cushioning as I wanted and felt a bit neat on my wide foot. 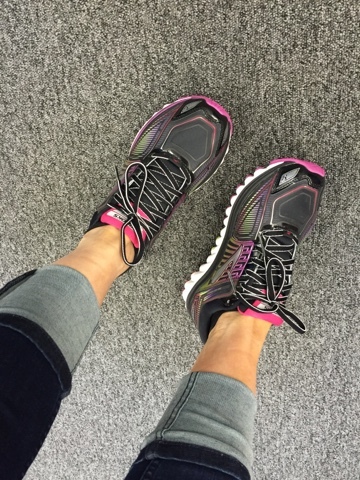 Next up, I tried Hoka OneOne. 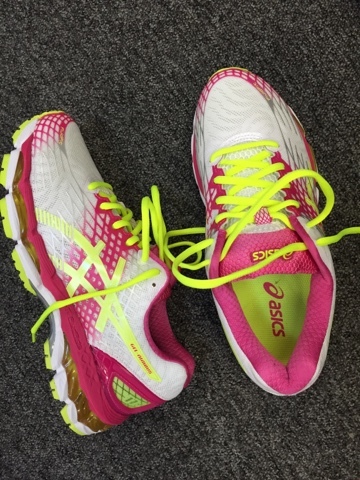 Now these have revolutionised the running market thanks to their unique design and cushioning. 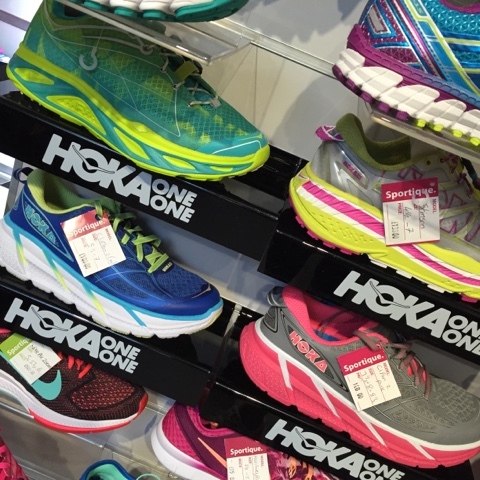 I have a friend who has struggled with running related back pain over recent years and since she started wearing Hoka trainers before Christmas, her pain is totally gone. Apparently, the company are only just about keeping up with demand, purely on the strength of word of mouth amongst runners. And on trying them on, I could see how they can help. Their design is similar to MBT's in that they encourage the foot into a better position while moving but unlike MBT's, they are not tricky to wear and don't require you to change your walking style. It's a great running trainer with maximum cushioning but it's also supportive and close enough to the floor for gym/weights work. I'll be honest, the colour wouldn't have been my first choice but they were in the sale and so I was getting an amazing trainer for the price and in fact, now I've had them for a few weeks, I realise that the brighter the trainer, the safer you are out running on these darker evenings. So what did I learn about the whole process? Firstly, the right trainer does make a difference to how you run and how likely you are to suffer with injuries. Secondly, you do get what you pay for. 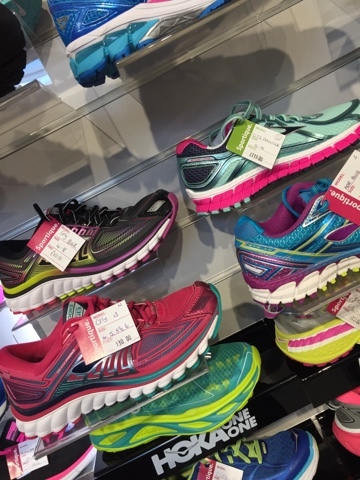 All of the running specific trainers I tried were in or around the £80-£100 mark - the technology and innovation within them obviously comes at a price. I'll admit that until now, I would have struggled with paying that kind of money for running/gym shoes BUT if it prevents physiotherapy sessions (dread to think how much I've forked out on those after my last running injury) and allows me to get out there in the fresh air and enjoy running again, it's definitely worth it. Before I go (and this is not a sponsored post btw! 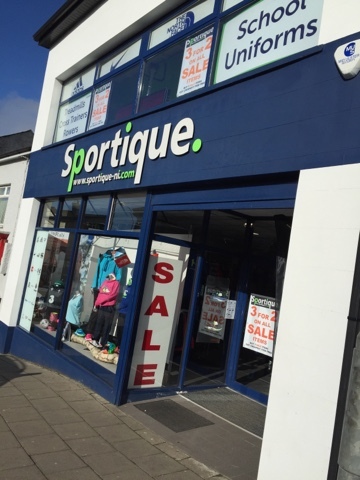 ), if you are looking for some really amazing brands that are not stocked in just any old sports or outdoor shop, Sportique really is the place to visit (or phone). 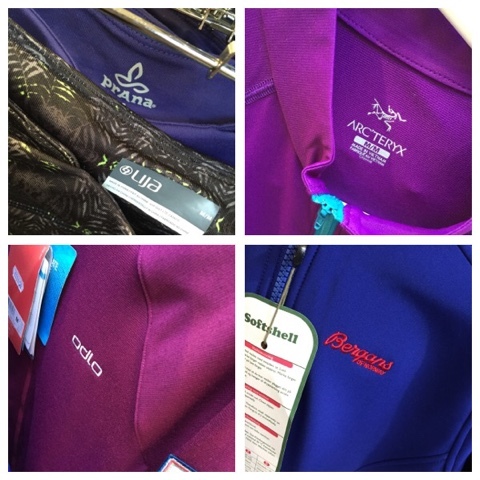 All of these niche and specialist brands can be purchased over the phone and can be posted to Ireland and the UK - just give the guys a call on 028 79632899.
and here I was all ready for my first 5k...I couldn't have gotten the proper running shoes without purchasing some proper scary running leggings now could I?